Difference in Between AA and AAA Batteries | Which is Strongest? What's the Best LED Flashlights for Hunting at Night? / What is The Difference Between AA and AAA Batteries? What is The Difference Between AA and AAA Batteries? The biggest difference between AA and AAA batteries is their size. Their names indicate potential charge and size of the batteries. When it comes to size, it’s important to note that AA batteries are bigger than AAA batteries. Some devices operating on batteries use only one particular size, so it’s important to note the size difference. So, you won’t be able to use a AA type in a AAA slot, but you can sometimes use a AAA in a AA slot. Luckily, there are adapters that make this possible most of the time. Both AAA and AA batteries have the same voltage, sometimes the same amount as bigger ones, such as the D type. The reason for this is because they’re all mostly just a single cell. For example, the smaller battery has less electrochemical material that contains the electric charge. However, there are also high capacity AAAs that can easily surpass the ability of AAs. If you’re looking into an EDC flashlight, then you can get one that operates on either size. The use of either type depends on various factors. There are no rules or standards that decide when to use one or the other. However, you’re probably going to notice AA ones in many devices that consume a lot of power. Small electric torches and battery operated toys are some of the tools that you’d find a AA battery in. Also, they use more than one AA cell to increase the operating time and voltage. Portable and low power devices usually use the AAA variety. The remote control is a good example of a device that uses a AAA. and doesn’t need a battery change often. Same goes with clocks, too, as they don’t consume too much power. 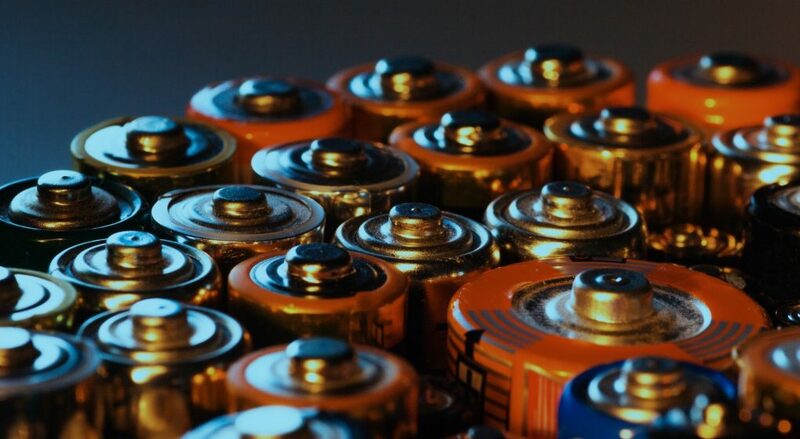 When it comes to rechargeable batteries, you’d need a charger for them. Mostly, a charger that’s suited primarily for your batteries is what you’re looking for. Still, some charges fit both AA and AAAs, which is always convenient. They operate with a spring that pushes the battery into place. You can use one charger for both types simply because AAA and AAs have the same electrical specifications. In conclusion, the AA type are bigger than AAA, while AAA ones have a smaller amount of material. You don’t have to charge the AAA as often, and you can find them in low power devices. The AA variety are for devices that use more power. Copyright text 2018 by Off The Grid Guru.